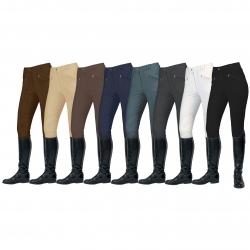 These full seat breeches offer ultimate comfort and performance. They are made from a four way stretch fabric consisting of a Cotton, Polyamide and Elastane mixture. 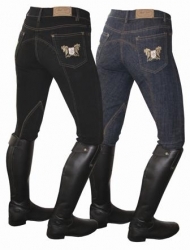 This provides a comfortable, durable and breathable fabric for the rider to compete in. Features include a full ultra-grip seat, two slanted front pockets, belt loops and a 4cm wide waistband. They are machine washable on a cool wash and have an embriodered Mark Todd logo.